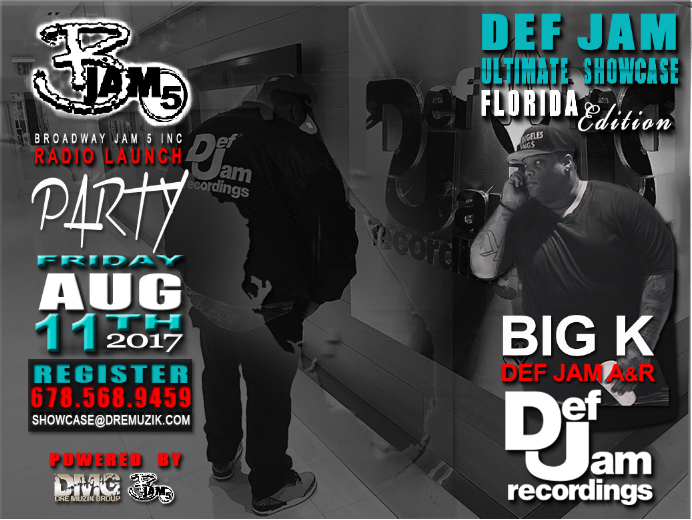 Thank you for your interest in ou BJam5 Radio Launch Party Def Jam Showcase. 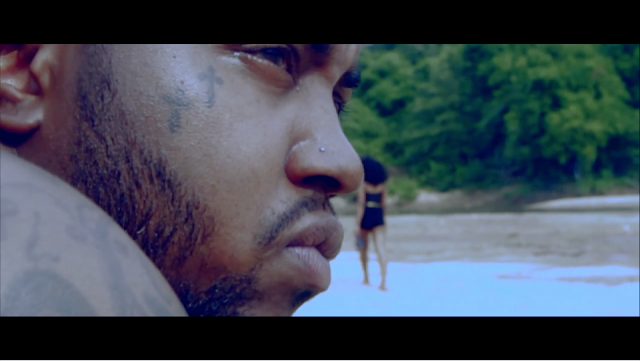 All artists need promotion and this will be a great opportunity to be seen and heard by a Def Jam representative. If you can afford to invest in yourself, you will not want to miss this opportunity. The Def Jam Showcase will offer real promotional opportunities to young entertainers pursuing a career in music. Each talent will have at least one performance slot. All artists registered by Aug 4th will be able to receive a custom flyer and secure their slot for exposure to Def Jam talent scouts, industry management executives, local promoters, radio station, and DJ's. Artists must register early to take advantage of the artist development class, radio interview and promotional opportunities. 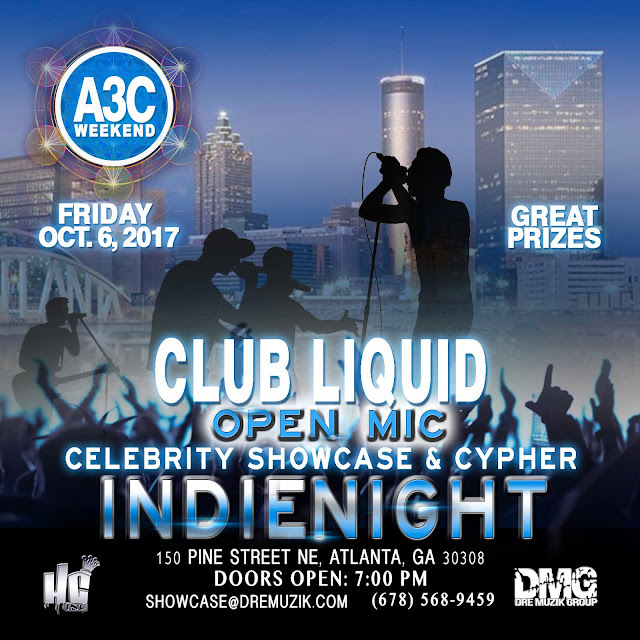 Artists with skills to be successful in the music industry need to be in the building for this showcase. 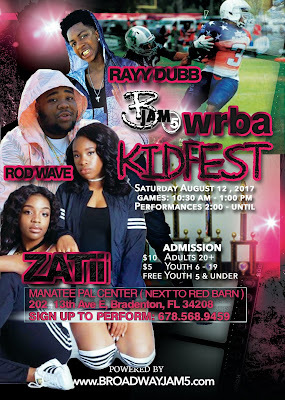 On Friday, August 11, 2017 the BJam5 WRBA radio's private showcase will be held at 1945 17th Street, Sarasota, FL 34234. Talent check-in begins at 6:00 pm and closes at 7:00 pm. Artist that arrive early may sign up to schedule an on air interview. On air interviews will be setup on a first come first serve basis. Def Jam will teach an Artist Development class at 7:30 pm - 8:00 pm and provide the opportunity for artist to ask questions. The show will begin at 9:30 ish. *Each participant will be allowed 4 minutes to perform. Artist will be graded on Originality, Crowd Participation, Stage Presence, and Overall Performance. The top scoring artists will be invited to perform at the after-party following this showcase. The cost for registration is $150 for solo artists and $200 for group. To register online at: http://www.broadwayjam5.com/events/radio-launch-party/ or call (678) 568-9459. After processing your registration, email your show track to showcase@dremuzik.com using the following format: SUBJECT: "Stage Name - Song Title" using "WAV or MP3" file format. It must be titled in the format: "STAGE/GROUP NAME - Song Title.Mp3". Please bring a backup copy of your music and promo cards to share.